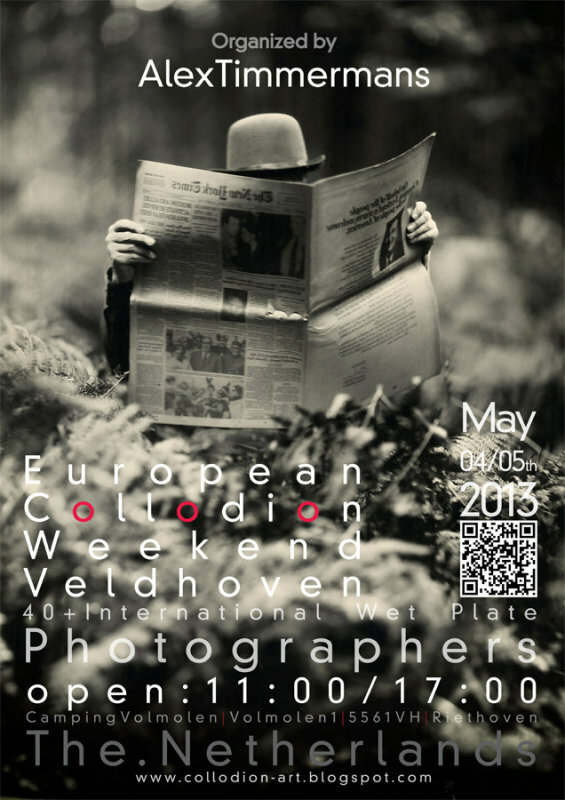 On May the 4th and 5th, this year’s European Collodion Weekend takes place. Over 40 collodion photographers from all over the world are going to show their skills, creativity and passion. This all based on Fredrick Scott Archers technique, from 1851. Antique wooden camera’s and 150 years old lenses as well as modern 35 mm and up to 50x50 cm glass plates are going to be used. Borut Peterlin (Slovenia), Alex Timmermans (organizer of this event) and many more will be present. Interested in this wonderful ancient photographic process and its craftsmen? Don’t hesitate and take the opportunity to visit is. Free admittance! I'd love to be there! But its an expensive plane ticket to jump the pond.